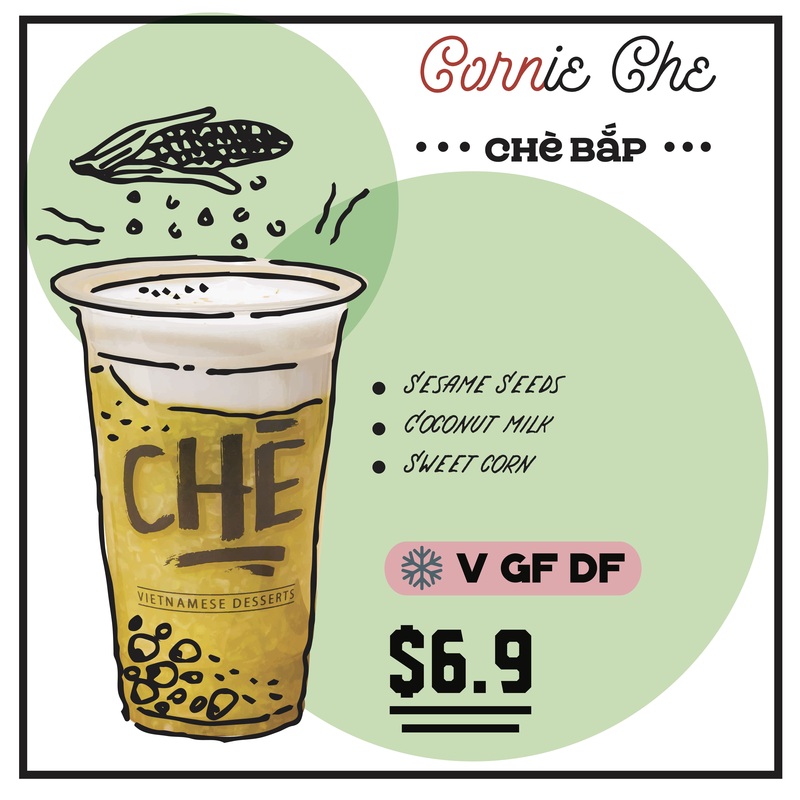 Cornie Che is a gelatinous pudding featuring sweet corn with a light aroma of pandan leaves. This Che is topped with the thickened coconut milk to add the creamy fragrance. A sprinkle of toast sesame seeds really is a clever touch to this aroma party. Generally served warm. Good thing is: Cornie Che is Gluten Free, Dairy Free and Vegan Friendly.